Should We Retire Retirement? | Wealthy Doc | Work is Good for Us! Home > Earning > Work > Should We Retire Retirement? The traditional idea of retirement as the ultimate reward for a working life loses much of its meaning in an information and knowledge-based economy. Maybe it is time to retire retirement. Tamara Erickson argues we should Retire Retirement in her book by that name. Life expectancies are climbing. Corporate leaders are seeing a critical lack of workers with skills and talent. Retiring retirement would help. An 8 million worker shortage could be filled with only half of the 14 million fit elderly. Many over-65 workers have vast knowledge and experience. Surveys show over-55 workers tend to be loyal and reliable. Retirement was created in the 1800s. At that time worker speed and strength were at a premium. Younger workers needed more jobs. Social security benefits were expanding and the idea of a “vacation” after a working life was created. We live in a different era now. Our information economy provides an opportunity to keep individuals connected, contributing, vital, and productive throughout much longer lives. Many baby boomers plan to continue work past traditional retirement ages. Fully one-third of Americans and three-quarters of Boomers plan to never retire. There are many options including working longer, retiring later, changing fields, working part-time, etc. Some of this depends on your opportunities, experience, financial and physical health. Boomers will be the first generation to have a significant period of healthy, productive, non-childrearing life. They will have time. Should ages of fifty or sixty be a time of winding down? Or a time to explore new options? Tamara Erickson has written about the concept of career curves. There are three basic types. The first is the traditional path. As you age you gain work experience. It grows upward until in your 50’s or 60’s. Then you drop off a cliff at complete retirement. This is the model that may be falling away. Another option is one of latent ambition. The carillon curve shoots up even higher after age 50 and may not plateau until 80. This curve is fitting for employees who leave a corporate job to create a growing business. The third curve pattern is more of a bell curve. The peak is an age in the 50s. From age 20-40 there is a steep upward curve of career development. The 60s to 80s is a “career deceleration” where the worker is still engaged and contributing but the intensity is lessening. This can be thought of as a phased retirement with many flex retirement variations. We all benefit from having a flexible array of ways to stay engaged and productive throughout life. Larry Burkett and Ron Blue come to a similar concept of retirement from a Christian perspective. They shared their thoughts in their book, Your Money After the Big 5-0. The authors argue that the underlying premises of Americans being entitled to retirement are not biblical. There was virtually no mention of retirement in the Bible. The authors are fine with people ending their current work to start a business, help raise grandkids, volunteer in their church, or change careers. They counsel against checking out at 62 or 65 and doing nothing productive thereafter. If you quit and play all the time you are not doing anything useful for God or for others. Not using your talents displeases God. The authors argue that continuing to work will reduce your financial stress. You need a smaller nest egg saved up if you are willing to work at least part-time. If your part-time job pays 9K per year, you will need 300K less (at 3% withdrawal) in assets. They also quote a Harvard study showing how work contributes to the well-being of older workers through play, meaning, creativity, and making younger friends. They list many older citizens who have contributed in a big way well past the ages of 60 (Albert Einstein, Colonel Sanders, Ronald Reagan), 70 (Sam Walton, Winston Churchill, Picasso, Nelson Mandela, Eleanor Roosevelt), 80 (Ben Franklin, Thomas Edison, Paul Harvey, Bob Hope, Frank Lloyd Wright), or even 90 (Milton Friedman and Strom Thurmond). Burkett and Blue believe strongly that Americans and the American economy are better off if we reject our typical view of retirement. They do acknowledge that retirement isn’t all bad or wrong and that some must due to health or disability reasons. Also, you still need to save for the future even if you don’t plan to stop working completely. Larry Burkett and Ron Blue especially push the envelope of conventional wisdom in their chapter entitled Retiring Conventional Wisdom About Retirement. Through their biblical and historical lens, they aren’t too impressed with our modern approach. They are speaking of the original definition of retirement: drop all productive activity or paid employment. Nowadays people have many different notions of what the word even means. Our great-grandparents knew nothing of retirement. They worked for as long as they were physically able. In the early 1900s populists demanded government-provided pensions. The workers suddenly had less control over their own financial security. Layoffs and big business grew. Other demographic trends continued such as urbanization, retirement plans/pensions, and life expectancy. Age 65 was somewhat arbitrarily picked as the cutoff for social security or pension plans. That age made the plans affordable since the average length of life was less than 62 years. Very few would live long enough to receive years of income. At the time lives were short, work was backbreaking and dangerous. Work was not viewed with a sense of meaning or purpose. Also, unemployment was high and putting the old people out on retirement would open jobs for younger workers. Social security was later made available at age 62. Medicare was added at age 65. People soon saw government retirement handouts as an entitlement. Retirement became a right. Early retirement became a status symbol. The times have changed and so should we. Work is much less physical and more information-based. Our bodies don’t wear out from clicking a mouse the way they did digging in a mine shaft. Many people in their sixties and seventies have great knowledge and stamina and can contribute to our economy. Work is more meaningful and fulfilling than in the past. Many people enjoy their work and get better at it over the decades. Increases in health and longevity allow for many decades of high-level functioning even after traditional retirement age. Unemployment has remained low so there is no need to “make room” for younger workers. Older workers tend to be more reliable employees and can be retained with flexible hours as a business expands. They shared the illustrative example of Mr. Cathy. Mr. Truett Cathy could have retired at age 50 after a successful 20-year career of running the Dwarf House Restaurant. Instead, he started a new business – Chick-fil-A. His wife was concerned he would become bored and recommended he keep working. He was reluctant to admit he liked a lot of aspects of work: the people, the mental stimulation, the occasional conferences out of town, and the benefits. He thought they would travel a lot after retiring. They didn’t. Money became limited. Also, his wife didn’t want to leave their grandchildren and her aging mother. Within a couple years he finished the “honey-do” list, watched all the TV he could stand, and read all the books he wanted. He played so much golf that it too became boring. Plus, golf is expensive. His yard looked perfect, but he was bored. His days became an endless string of drinking coffee, complaining about his pension, checking the mail, and working on his yard. By eighty years old he was still in good health, but still without much meaning or structure in his day. He found himself getting annoyed over minor things, worrying about running out of money, and depressed about the prospect of up to another 20 years of this monotony. Long gone were his working days when he was active, earning, learning, being challenged, and contributing. Why did Mr. Darton so look forward to retiring? That is what he asks himself. If you retire, will you be more like Mr. Cathy or Mr. Darton? Those aren’t the only two options, but it is useful to reflect on this contrasting case study. What about you? Do you see work as a calling, just a way to earn income, an endless drudgery, or something else? Would you continue working past when you no longer need the money? Knowing my personality, I’ll always be working in some way, shape, or form. I think there are two problems worth addressing which is (1) working too much to the point that of poot work life balance, which makes people want to retire and (2) retiring completely with nothing productive planned, which likely isn’t healthy either. I really like the idea of “deceleration” though it’ll happen much earlier in my career than 50. I think part time work solves a lot of the problems discussed in the article. Having an adequate time to rest is certainly a biblical principle as well. I guess I’m decelerating now. I have worked in medicine for 20 years. On the one hand that isn’t long compared to a GM worker who put in 35 years. On the other hand, it is a long time. I have had work and pressure to perform at school or work since at least age 17. As a result, I feel like I have already put in 33+ years. Probably what we need to do is not retire retirement, but retire the word retirement. It means something different to almost everyone. I think the key is to feel productive, like you are adding value to society. I gave up my busy surgical practice to do part time work at a slower pace in critical access hospitals for three years, then switched to writing and teaching physicians. I slowed but didn’t stop. I repurposed. You have provided a roadmap for how to do things right. I could easily manage the work full time, part tim, overtime, minimal time and zero time in Medicine. I have found it simple by staying away from purely hospital based specialities. I trained in one and decided near the end that that would never work for our family. My husband OTOH must stay working since every time he has worked less- he dreams up bad investments for us. That’s our family rule now. Yes, MB choice of specialty can help a lot. Within most specialties, there are niches that allow a modified work schedule. That is hilarious about the bad investments. I have heard some investment horror stories. The worst ones are almost always perpetrated by men for some reason. I’m not sure if female investors are more reasonable, less impulsive, or less risk-averse. At any rate, it sounds like you have figured out an arrangement that works for you. I do think the best term to use would be re-purpose. I think that is how I am going to view my life when I get to the stage where I hang the stethoscope up. There are some aspect of medicine I love and if a career could be tailored to just highlight those points it would be easy to work indefinitely. However there are parts that cannot be removed just because of the nature of medicine. There will always be a threat of a lawsuit (I think Jim Dahle had a post where it showed that the only real variable of getting a malpractice lawsuit was time in medicine). So if you have won the game in terms of becoming wealthy, would you risk it all by keep on pulling the trigger in a game of Russian roulette? I think teaching, writing/blogging, and traveling would be worthy endeavors that could occupy my time and make me feel useful. Xrayvsn recently posted…The Doctor’s Bill: Happy Wife, Financial Strife? I have a similar list of interests outside of clinical medicine. I also share your view about risk. Why take risks when you don’t have to? On the other hand, I apply that argument more when justifying my low percentage of equity investments rather than occupational decisions. I hope to not get sued, but I have malpractice insurance to cover it. It would by no means be Russian roulette or threat to my wealth. I also have honest hard-working patients who just cannot physically do their work as a manual laborer anymore. Some started at 18 years old and are now almost 60. The cannot retire financially and have no health insurance options before Medicare. They have limited marketable skills and education. It is a horrible situation for them after working so hard for 40 years. I like working but my job is fairly easy physically. Even my job is getting harder on me as I age. I advocate reaching FI within 20 years and then considering options about work. It is a personal and individual decision. Retirement becomes a necessity if you cannot create a work life balance. Many specialties do not lend to part time work of acceptable quality of care for patients or for that matter the physician. Developing hobbies, excercise routines, sports like golf, art, travel, taking care of family is a reward in itself. You have to take care of yourself as a life of full time practicing physician does not allow that. Save and invest well. Still trying to find a way to contribute to the society. Perhaps short stints of volunteering as a physician may allow both, caring for others and the freedom and time to take care of yourself. Your paragraph sums up one of the most important messages I’m trying to share with this blog. Some work and stress are fine. In fact the challenge, growth, and service are healthy. That is eustress. It only becomes distress when it grows and grows in a linear fashion with no breaks or outside refreshing experiences. We need things other than work. We also need exercise, sleep, and good nutrition. You can’t be there for others if you aren’t there for yourself first. So what’s your risk? I made all the money and then sold all the risk. Had a friend, great surgeon till he cut the brachial plexsus doing a mastectomy at age 72. Gotta know when to hold em and when to fold em. Yikes. There is nothing worse than capping off a great career with a horrific disaster. Surgeons tend to get better with age, skill, and practice. Internal medicine knowledge can drop off – if they aren’t dedicated to deliberately practicing and studying. But surgeons gain from experience. There can be a physical decline with advanced aging though also. Motor speed and processing speeds slow. Benign tremors can develop. Joints are tighter and more painful. All that can impair a surgeons ability. The trick is there isn’t an exact chronological age that points to this crossover point. It reminds me of an anesthesiologist I know. He agonized over his retirement decision. At 69 years old he still loved his work. He was physically able to do it. He was well-respected. He had never had a lawsuit over a very long career in a high-risk specialty. He decided to go out on top and retire. He didn’t want it to end after a catastrophe. I wasn’t sure he would adjust to retirement. But he has and is loving retirement as his next phase. For him, that was the right choice. Social Security was not created until the 1930s …not the “1800s”. This fact sadly relegates the credibility of this article to garbage. Thanks for that point of clarification. History isn’t my strongest field. However, in a broader historical context, I think the “1900s” is still an okay description. I believe Otto von Bismarck pushed for reform in Germany for “old age” benefits in the late 1890s. Similar movements were afoot in other European countries and in the U.S. in the early 1900s. The actual U.S. legislation was not enacted until the 1930s – as you correctly stated. Unfortunately the statement that ‘retirement’ began in the 1930’s is inaccurate. The concept of retirement and social services provided by the government was introduced by Bismarck in Germany during the 1880’s. Many of the elements of our health care and social networks originated someplace other. We are now in a post-industrial age and the more relevant question is how retirement is redefined. Thanks for that input. I agree with the reference to Otto von Bismarck and Germany as the origin of the movement. To his credit though, T. Brian Callister was correct when he said Social Security started in the 1930s. I do agree that it is wonderful to remain a productive member of society for as long as you are able! And now that I no longer have to work, I find that I enjoy my part time Gyn practice even more. That being said, it may be premature to retire retirement as there are too many variables. I’m glad you found a balance that works for you. It is different for everyone. I too have found I enjoy my work even more now that I’m doing less of it (part-time). I take umbrage at the comment that social security is a government entitlement. While I find value in my profession and plan to work, at least part time, well past 65, I have paid into social security my entire adult life. Therefore, this is money owed to me. I agree with you! The government has taken SS out of my paycheck since the day I started earning one and has squandered it away, I would have been better off if I could have kept 1/2 of it and invested it myself. I’d like to at least get some of my money back even if they are going then tax it and squander that away! I don’t necessarily disagree with you. Maybe sometime they will change it to a fund that you can invest in over your life and then get some or all of that money back in the future. That may work better for high-earning professionals like doctors. In the meantime, it is a transfer payment. We pay for the old people when we are young in hopes that the future young people will pay for us when we are old. Although there is tremendous waste in government spending, most of the money you paid “into” social security went to elderly recipients. You literally helped people. It wasn’t all squandered. My father and grandparents were destitute. Social security income (from people like you) was their only source of income and they were grateful for that. I hear the sentiment, Cynthia. You are not looking for a government handout. You are not begging for government help. Not by a long shot. Some early recipients saw it more like a handout. Some of this springs from the word. It isn’t meant as a moral judgment, just a legal term. A Federal obligation to pay its citizens that is mandated by law is called an entitlement. You definitely should get some money back after all you have put it. Just realize you may not get back as much as you put in. I’ve never looked at that for doctors, but I would bet that we contribute far more than we ever take out. As far as the government accounting goes there is no fund that goes in and out. It isn’t that the money you put in will come back to you with interest. It is a transfer payment. You paid for elders while you worked. The future workers will pay for you when you are older. That transfer payment is part of what makes the whole system fragile. There are fewer workers to financially support a growing aging population. No way! Retirement should be the option for any physician beyond 30 years of hard work and loss of life balance. Most physicians I know that keep active up to and beyond 70 don’t know what to do if they bail out of the profession. The timing and reasons to retire are manifold, but the option should always be open to all. Justifying ‘staying at it’ or ‘dying with your boots on’ depends on one’s personality and priorities. It’s important to realize that physicians, after 3 decades or more of being active, are a better at advising, assisting and mentoring younger colleagues and organisations than sticking to ‘business as usual’ – and maybe unaware that they’re not scoring as well as they did a few years earlier. It’s best to retire when you’ve been at the peak of your profession for a while, than to wait for the decline in skills – and you may not note it, until a colleague brave enough will come to you and point it out to you. Very good point! Retire and become a bullpen coach before your ERA climbs as you rely on your secondary pitches, as you lose your fastball, and long term contracts disappear! Yes, I agree that some docs stay too long. Although we aren’t working in coal mines, many specialities do involve physical demands that are difficult to keep up with later in life. It is dangerous and unethical for aging subpar physicians to keep practicing just because of their narcissism or financial need. I find it maddening and pathetic when people in important positions don’t step down even though everyone can see that they need to. When the great football coach Tom Osborne was asked why he retired from coaching in his 50s after winning back-to-back national championships, he said something to the effect of “I think it’s important to leave before people start asking you to.” He then went on to serve in Congress, where of course NO ONE ever asks you to leave no matter how old you get. I think I actually agree with you on all that. I push mostly for financial independence on this blog. I think retirement should be optional and a personal choice. It should be based on a lot of factors, not just age. Keep working because it pleases God? That’s the single best reason to retire. Amazing how doctors, being people of science, can believe in something for which there is no evidence. Makes pleasing oneself into a bad thing. Me, I’ll have many better things to do with my time come retirement than work. I hear ya. I don’t see science and spirituality as incompatible. There are countless scientists who still have a religious belief, but I see your point for sure. The authors of that book I referenced come at it 100% from a Christian religious perspective. That isn’t for everyone obviously. It sounds like you have outside interests and that is great. Too many doctors have nothing to retire TO, only something to retire FROM. That is when retirement usually doesn’t go well. Good article . I’m a Radiologist with 35 years of experience in both hospitals and private practice. I want to work part time now that I am 65. Im very productive and have a good work ethic. My employer thinks younger docs are better . I totally disagree . Both are needed today with the high volumes of patients . Financially I need less money just more time to enjoy semi retirement . Good for you Dr. Schulze. I hope you have the option of going to part-time. I know that can be hard to pull off in medicine at times. You made it to 65 full time. You made it longer than I did! I worked only 20 years before shifting to part-time at age 50. That change has been great for me. Best of luck. Retired at 69 plus years old from an active rheum private practice involving two mds. Could have gone longer without nights and weekends – but our patients on biologics and chemo need close follow up.. As a colleague said if you have to check charts the afternoon after being up most of the night it is time to throw in the towel. I also want to point out that I have seen many retire long after they have passed their peak. Options post retirement in medicine unless there is an institution to support you part time , are limited. Even Peace Corps return which had positions wanted 1 1;2 year commitment. Advocacy for friends and family is my only role now, and sad to say advocacy is very much needed in this profession turned into a business. We would all benefit from more flexible work options in medicine. Fortunately, I was able to go to part-time in my early 50s. That really helped my career longevity. We would benefit from having experienced physicians continue to work in some capacity. I just decided to “semi-retire” when I am 66 and asked my current employer about going to a 3 day week. “Nope” was the answer. Its full time or nothing. Seems like an outdated stance considering there are many others for whom part time work is a good option; like us older docs, and younger docs with small children. Fortunately, I have 3 other part time job offers that have come my way. Two of the offers are so that younger docs with kids can go part time. My employer hasn’t been able to find a replacement for me. I’m sorry you had that experience. Unfortunately, I hear that quite a bit. Medicine needs to be able to accommodate the whole spectrum of workers in the future. Especially with the looming physician shortage. It sounds like you have some other options though. Good for you! As a geriatric psychiatrist, I encounter many people who held important jobs for most of their lives and then felt unfulfilled after retirement. This is particularly true for physicians. It’s not just the authority and income that is lost, it’s also the loss of meaningful activity. One day the world revolves around you as you make life and death decisions. The next day you are just another retiree buying groceries at Walmart. That said, I also find that perceptions can vary greatly from one retiree to the next. Some people (usually those who don’t like the work) are perfectly happy to be done with it, but others become severely depressed when it is over. I think that each one of us needs to engage in introspection as we enter middle age and consider retirement plans carefully. I would suggest that meaning be given higher priority than monetary concerns as one contemplates the end of a career. The other thing that we need to do as a profession is teach our younger colleagues the importance of retirement saving so that they aren’t forced to work until they can’t. I too have seen examples of physicians who retired early and were very happy. Others failed retirement three times because of a loss of meaning, structure, money, or purpose in life. I retired from general surgery three years ago at when I turned 69. I had feared retirement but it has been considerably better than expected. I did not realize the toll work stresses like night call, legal threats, poor computer record systems, and dealing with an administration more interested in the bottom line than good health care were taking. I also have a severely arthritic knee which I did not realize was greatly aggravated by the hours spent standing in the OR. I also seen physicians practice beyond their time of competence whose decreased mental capacity made it impossible for them to realize it was time to quit. I’m so glad to hear retirement is going well for you. Surgery takes a toll on people for sure. The stress, physicality, hours, and sleep deprivation are real. I have heard similar comments from the recently “repurposed” surgeon, Dr. Cory Fawcett. My job is a lot easier than yours was, but I already have felt the cumulative effects over 20 years. I didn’t realize it until I went part-time and felt so much better and happier. “To every thing there is a season; and a time for every pupose under the heaven.” Medicine requires devotion to patients and practice, often at the expense of family and personal development. Retirement is a chance to reprioritize, to pursue other purposes. However much the older physician may contribute in terms of experience and perspective, there comes a time of declining stamina if not cognition and skills. Better to quit at the top of one’s game and turn to different priorities than to hang on too long and become “that guy” who unwittingly becomes a threat to oneself and others. The trick is that a full retirement has traditionally been defined by a chronological timeframe. That varies from person to person. Some become much less capable after 60. Others thrive in their eighties. In my residency, I learned the most from several faculty physicians who were in their seventies and eighties. Everybody was always asking them when they would retire or why they didn’t. They loved their work and were good at it and chose to continue. I’m so glad they did because they were awesome teachers. They were there because they loved teaching and had decades of knowledge and skills to share. Messrs Burkett and Blue seem to be pushing a right wing agenda. 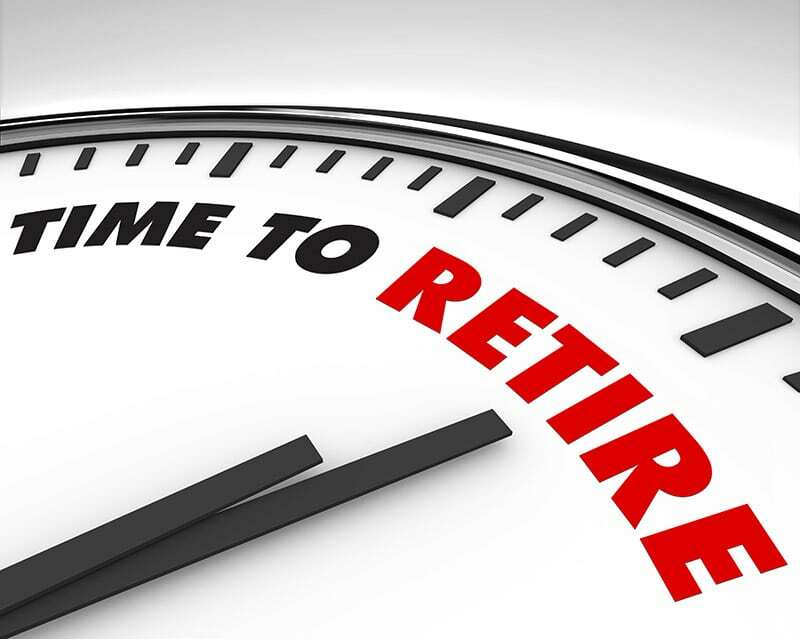 There is no need to instill a feeling of guilt into those who feel a need to retire. Particularly those in the medical profession. After putting in 30 of 40 years of hard work spending half a life time away from your family and missing out on your children’s formative years , hardly anyone is going say on his or her deathbed ‘ I wish I had spent more time away from my family and friends’ . It is best to retire at the peak of one’s career rather than leaving one’s practice missing an important clinical finding or forgetting or messing up something that will surely return to haunt you. Who needs a crotchety 93 year old Supreme Court judge anyway? You raise a great counterargument. I’m not sure of the political persuasion of those authors, but they certainly come at it from a Christian religious perspective. Some get crotchety when old, but not everyone does. I had a faculty physician mentor who remained a vibrant and wonderful doctor until age 91. I acknowledge that we need to not judge people. Working forever should never be a requirement or expectation. This article, as it relates to the concept of retirement in general, is very intriguing. It is also concerning that it comes at a time when ENTITLEMENT SPENDING is crippling the country. Therefore, I wonder about the underlying motives of the authors. Are they subliminally forcing us to believe that retirement as it was, is no longer?! The issue for me, however, is a bit different. I am a urologist; have been for 37 years. This has enabled me to retire on a modest budget at my current age of 63. I have yet to pull the plug, which means that I do support the concept of being productive, whether to self or God. However, being a physician today is devastatingly de-spiriting. Ironically, so many docs in my age group feel the same way that there won’t be non-medical jobs for all of us as we jump ship at the same time! It is a shame, but corporate America, the legal profession, and insurance companies have put an end to the Medical Profession as I see it. I am in a deceleration pattern, then I’ll sell off my practice hardware, and take ONE YEAR to be nothing but existential. After this, I will find a new way to self-actualize. I understand that take, but I don’t think the authors intended that. They were focused on helping older readers find meaning and purpose later in life. They come from a Christian religious perspective. When they went to the Bible for advice about retirement. They found the word wasn’t even in there. They concluded that we should serve as long as we are physically able to continue doing so. I’m sorry that the profession has become so unenjoyable to you. I know you are not alone. My younger partners and I still love practicing. It sounds like you have done well enough for yourself that you have options. Congratulations! Good for you Dr. Robinson! That is awesome. I tend to agree that I enjoy time off and vacations more when it is in contrast to work. Someone asked me, “Wouldn’t it be great if every day could be Saturday?” I’m not sure I would want that. Nor would I want every day to be Monday. The structure and variety are good for me. Both work and time off are a healthy cycle for a good life – for me at least. People can find structure, work, and meaning outside of medicine. That is fine. But for those of us who love working and want to continue that should be fine too. I am 69 years old. I have been a Pediatric Neurologist since 1982 with seven years spent in Public Health. Two years ago I was hired to be the only Pediatric Neurologist at a major urban hospital that is not level 4 but is level 3 for Pediatrics.. This is the beat job I ever had. My accumulated experience has enabled me to care for many patients with diverse illnesses. Parents love me and administration supports me well. I now have a partner I will continue doing this as long as I can walk, eat, and breathe. What a blessing that opportunity is to you and your patients! I’m delighted to hear that. I don’t think working into advanced ages should be expected or mandatory, but it can be wonderful. I remember learning from a doctor in his early eighties. We were seeing post-polio patients. He had followed those same patients since their original polio diagnosis. It was amazing continuity. The care and learning were amazing. Retire retirement? You must be kidding! Medicine has become unrewarding in so many ways. I trained in the ’80’s, was a Navy physician for 4 years post-residency, then went into private practice for 28 years. With partners retiring, reimbursements declining and the “bother” factor skyrocketing due to insurance, staff and patient issues, I’ve adopted an employment model which is no bed of roses. I look forward to leaving this mess behind and pursuing a series of avocations for which I’ll actually have time to enjoy. I’ll be damned if I’ll work until I drop and leave my children and our confiscatory government a bundle of money over which to fight. It sounds like you have served your country and your patients for more than long enough. I’m sorry that the trends have all been negative for you. I have seen some positive changes from where I sit, but I know not everyone sees or feels it that way. Especially those who have practiced as long as you have. Either way you have earned your retirement fair and square and I hope it is long and enjoyable. At 81 years I am still working part time. Assist major cases when needed.See few patients in wound clinic,teaching medical students and residents. That jives with my experience. I have known several doctors who were productive well into their eighties. I played tennis against one of them at 6 am and lost! I’m happier as a doc now at 66 than ever. Patients seek me out and thank me. I’m more relaxed. Medicine is s profession, a calling. People used to donate to medical schools to help doctors to thrive. A colleague “worked” into his 90’s, finally volunteering at the jail. It is wonderful to read comments like this. I have been reading so many comments by doctors who hate every aspect of their medical career. Many are trying to retire in their forties. It is good to know others still can see the field as a calling. I sure do. As a 70-year-old child psychiatrist, I am lucky. I love what I do and long ago refused to do what I didn’t like. I don’t work in or for any hospital since reviewers began making medical decisions for doctors. I have a part-time private practice, school consultations and a part-time salaried position for two special populations. I am “working” more than 40 hours per week, but I have started taking larger blocks of time off. I do not believe retirement is in my best interest and I am good at what I do. Next month I will be attending a memorial service for a psychiatrist who died shortly after his 100th birthday. He “retired” at 99.5! but was still active in professional organizations. Thank you for sharing. It is inspiring and encouraging to hear that it is possible to cut out what you don’t like and continue to enjoy a professional career for decades. Those are great stories. The medical school professor who taught me the most attended a CME at the age of 91 and still taught medical students and residents part-time. He loved it and was a wealth of knowledge. This article probably speaks to people who love, or at least enjoy, their jobs, or who don’t know what to do with themselves outside the externally provided structure of a work role. I also sense an undertone of guilt-tripping white-collar folks about ‘unnecessary’ retirement. When I consider retirement (which I dream of just about daily), and knowing my hobbies and confident in my ability to entertain myself without a formal job, I realize there are quite a range of people and situations. Those financially able, and able in terms of personality/self-entertainment capability, to take early retirement who want to…I’m thinking shouldn’t be guilt-tripped about it. Can’t say worrying about the economy would drive me to feel duty-bound to remain a wage slave, either. If you love your work, be thankful. That is a blessing. I agree that we shouldn’t feel required to keep working. Nor should we feel compelled to stop working at a certain age. A lot of doctors never worked outside of medicine and didn’t have much free time to develop hobbies. They literally wouldn’t know what to do without their clinical work. I see nothing wrong with someone like Leif from PhysicianOnFire who will retire from medicine in his forties. I see no obligation for him to continue. On the other hand, I think it is great that others want to keep working. I felt sorry for faculty who worked into their seventies. Not because they kept working, but because people continually harassed them with the question, “When will you retire?” Why should they have to keep answering that because their skin is wrinkled? They were great at what they did and they loved it. I have plenty of outside interests, but I still love my work. Treating patients is a service that I provide and enjoy. I get plenty of benefits in return as well. It makes me sad that you dream of retirement daily. That may mean you are on the wrong path. Is there a way you could improve things to make your work more enjoyable? Or go part-time? I think life should be enjoyable as we live it, not just a glorious destination we hope for in the future. It wss explained to me that the reason for the age of retirement set at 65 was not what one might think. In the 19th century. Bismarck wanted to sell German unification to German workers. He proposed institution of retirement with a pension which could be funded by a larger governmental institution which unification could provide. Actuaries determined that the average age of death for a German workers of that time was 66 years. Retirement was to give workers a year to wind up their affairs and spend a year with their families. I think there is some truth to that. As I understand it, very few recipients lived long enough to collect Social Security for many years when the program started in 1934. Now that is is not unusual to live until 95 there is an enormous financial strain on the whole system with very few contributors paying for a larger population of recipients. All this is very interesting but I have one drop of cold water! I am 73 years old in perfect health and I’ve had a private practice/program building/medical literature producing career for 30 years. As I looked at private practice and up to 15 academic programs I was turned down without comment. It is more likely that age has something to do with it . So be careful the medical profession is not nearly as kind to the multi – list of career options listed in the article. I’m sorry to hear that you had that experience. Thanks for sharing your “cold water.” We doctors benefit from sharing these kinds of experiences with each other. I don’t doubt that such age discrimination is alive and well. There is some of that in all fields and medicine isn’t exempt. I have counterexamples in mind of older physicians getting jobs or continuing jobs well into advanced age. Your experience validates my advice to achieve Financial Independence. It removes some of the economic pressure to find a full-time job.